Chris Childs is the Gippsland Regional Coordinator for Consumer Affairs Victoria. Chris has a strong background working with businesses within the community and helping to make consumer law a little less confusing. Chris will talk about the rights of business and consumers under the Australian Consumer Law and Fair Trading Act on a range of goods and services. Below is a list of some of the topics that will be will covered. SBWN Members on the night are welcome to ask questions in relation to their business and can also contact Chris via phone or email following the presentation. This event will be a fabulous opportunity for a robust Q&A. Start lining up your questions now! 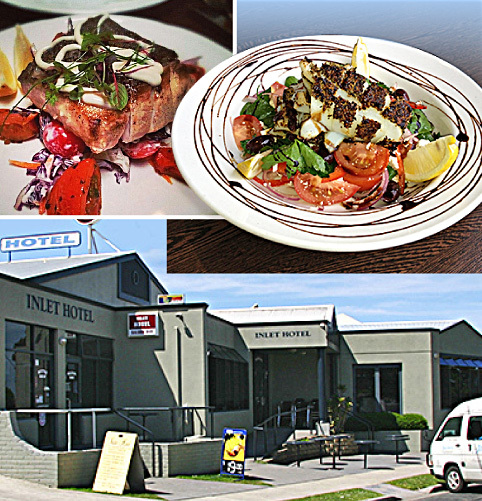 Located in the beautiful seaside town of Inverloch, the Inlet hotel boasts views of Anderson’s Inlet and brings together great food and excellent service. The Hotel was once known as the Cottage Restaurant and has since been renovated and refurbished, adding to the original building the Bar and Bistro. Opening its doors in 1997 as The Inlet Hotel & Cottage Restaurant, the hotel has continued to build upon its highly regarded reputation. Above: The Inlet Hotel's Cottage Restaurant in Inverloch will be looking after us for our February Dinner Event. 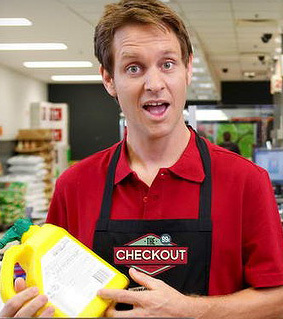 Image at top: A scene from the popular TV Series, The Checkout which highlights the modern consumers desire to know their rights.